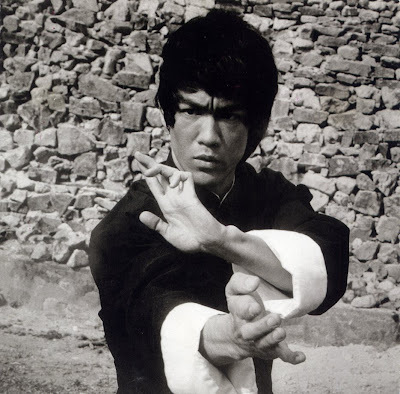 Bruce Lee (born in the US, raised in Hong Kong) is considered one of the most influential martial artists of the 20th century, and a cultural icon. Separated headline, thinking outside the box, breaking from the traditional thought. The headline appears so focused, like a laser. 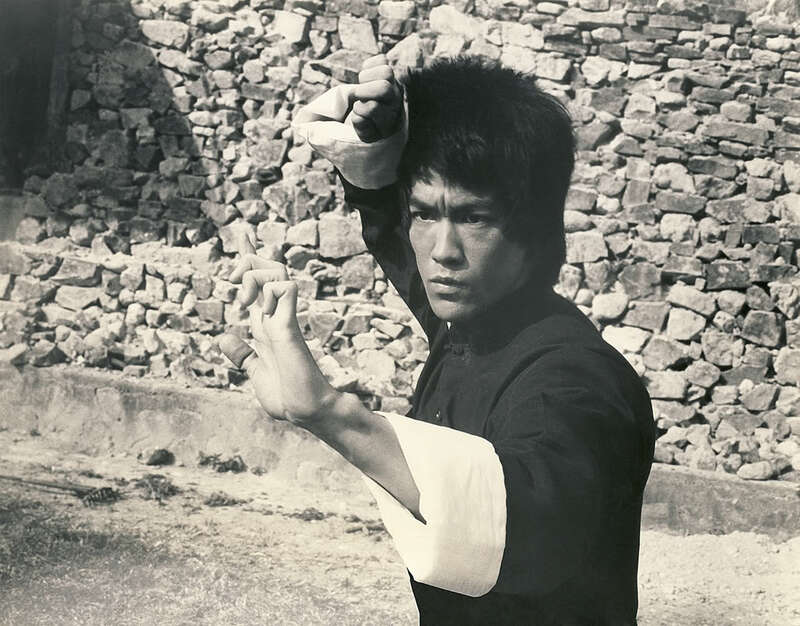 There was so much to Bruce Lee besides the physical man, very philosphical/spiritual guy. Thought... let's not forget, things are not always as they appear to us. For example: Bruce Lee unveals in the first part of the interview that he never spoke Mandarine (he only speaks Kantonese lanuage); so in the his movies... we never heard his own voice! When I observe that photo with 200% ZOOM-IN, it appears to me that the headline ends somewhere below the ring finger (which can be described as 'normal'), and from my point of view it doesn't appear to end abruptly - though maybe we might need another photo for confirmation. It ends under ring finger but its ending is not sharp. rt? ...I think we should consider the fact that in photos in general, it is usually much harder to see where the major lines end exactly - and usually one can only see that in 'high resolution photos' (in handprints one can see those details usually much better). So, from my point of view: the materials that we found so far are not good enough for making permanent conclusions regarding the exact endpoint of the headline. Anyway, thanks for sharing your thought + observation! Is there Sydney line on left hand? Edit: The picture I was looking at has disappeared from thread. So can't see head line in other images. Not sure learner, but likely not. 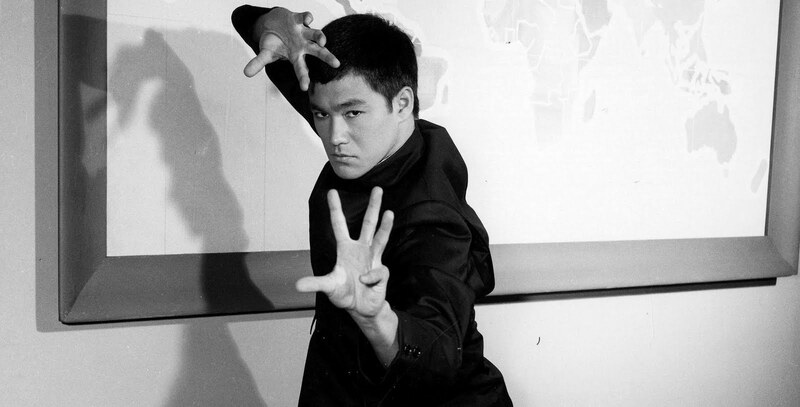 (Sorry, I am not aware to have seen a picture with a clear impression of Bruce Lee's left hand lines). PS. I had to delete one picture after finding out that it concerned Dragon Lee (who is known as a Bruce Lee imitator). Sorry! Yes, I think that's the picture I was describing. 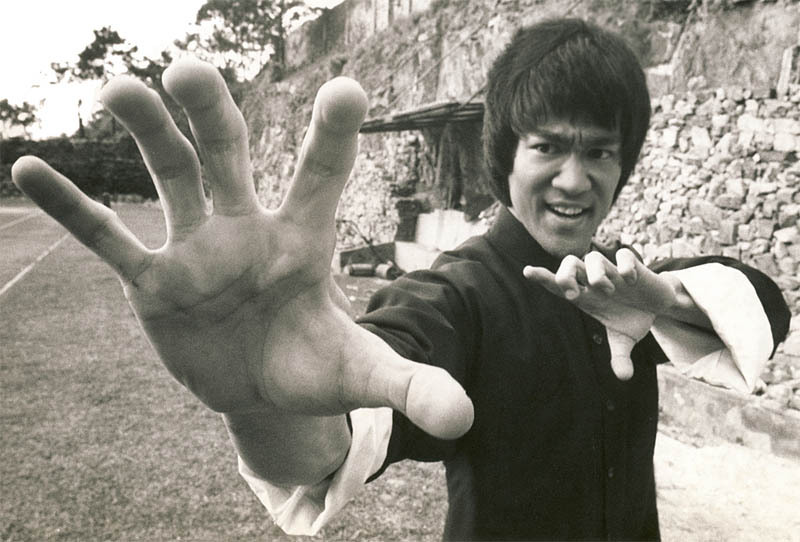 Dragon Lee has broad palms, I think Bruce Lee has normal breadth palms? Am I right? 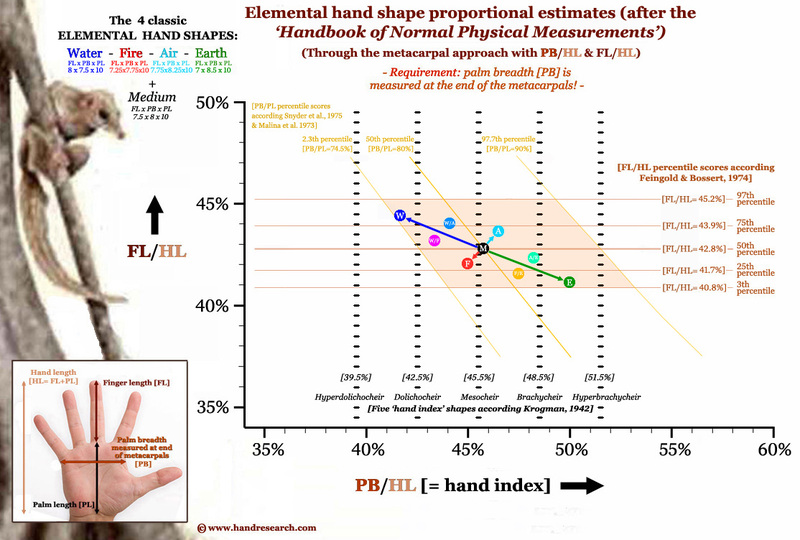 Well, in terms of proportions (see picture below) Bruce Lee's palm width can be described to be slightly wide relative to both the fingers and the palm length; however, Bruce Lee's palm breadth is normal relative to the wrist width. NOTICE: especially this latter factor is exceptionally wide in the case of Dragon Lee.